Because of the popularity of our Bio Brick activity in 2016 the Atlanta Science Festival asked us to return in 2017 for more public outreach. 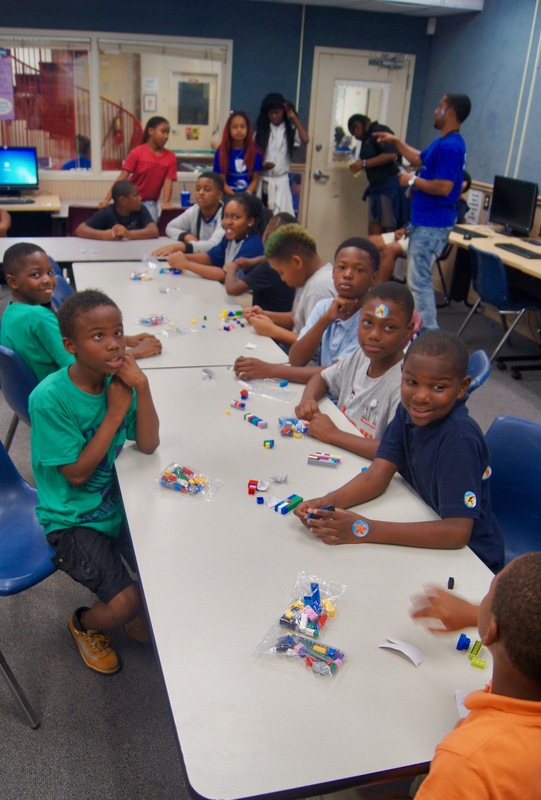 We provided children and parents alike with a better understanding of the goals, applications and importance of synthetic biology by utilizing the Bio Brick activity and the glow fish display. The BioBrick activity utilizes colorful Lego pieces to explain to attendees how to create a Bio Brick. 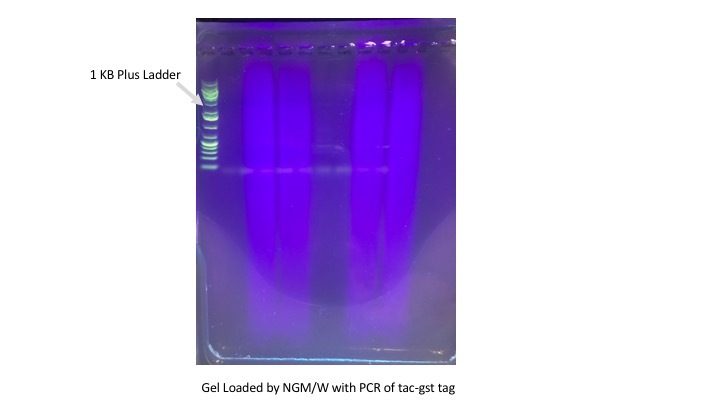 Participants select a plasmid base, promoter sequence, ribosomal binding site, and a coding sequence to simulate gene expression in various host organisms. This year we also used glow fish to relate how fluorescent proteins are utilized in synthetic biology. Glow fish are technically GMO’s available in almost any pet store. 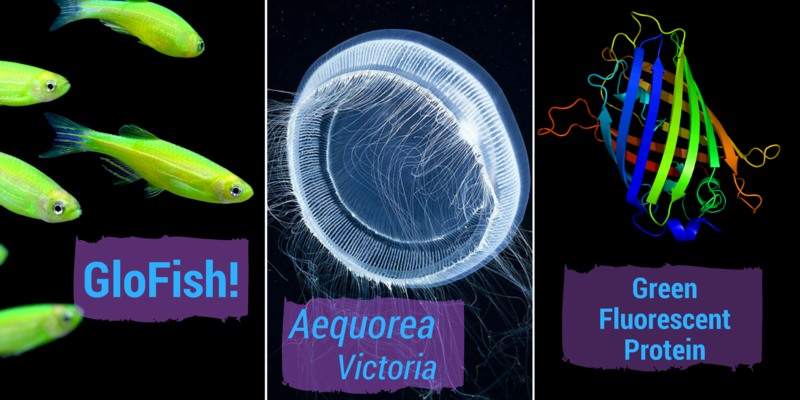 These fish have been modified by introducing the coding sequence from jellyfish into zebrafish or other embryos to produce a bright fluorescent color in adult fish . We also took some time to explained previous iGEM projects and their benefits to society. 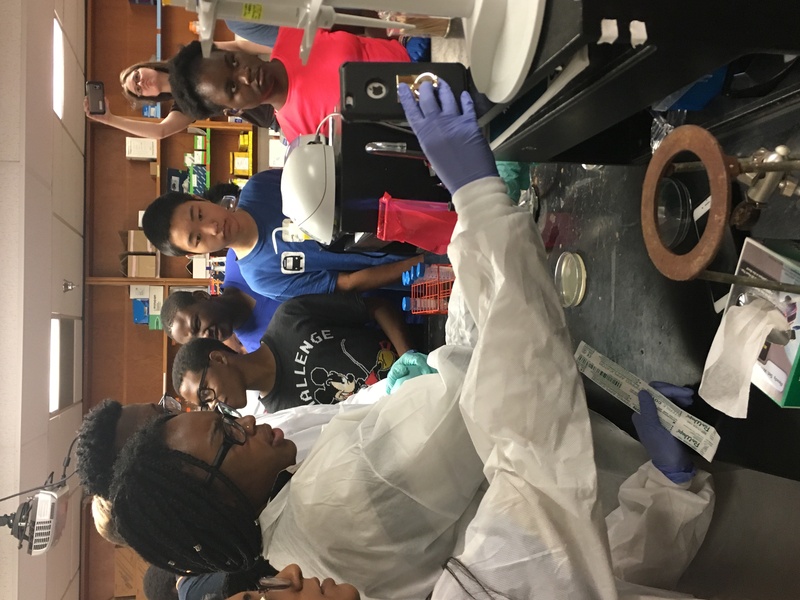 Over the summer the Georgia Center of the Death and Hard-of-Hearing (GCDHH) reached out to our GSU iGEM team to learn about synthetic biology and how they could be a part of the research world. Without knowing how to approach the obstacle of communicating with one another, we reached out to our Department of Education to find out the best way to present our information to the incoming students. Using the guidelines we received, we hosted a successful open lab day for the GCDHH students. We had interpreters signing as we were explaining the basics of our lab and the undergraduate research that iGEM has to offer. When we initially agreed to host the students we had no idea how much it would impact our view of synthetic biology. We believe that the knowledge and experience we gain from being a part of iGEM should be accessible to everyone that has an interest. Furthermore, we have integrated what we learned about the deaf and hard of hearing into our presentation to make it more accessible. As a side benefit, several of our team members have learned some sign language. 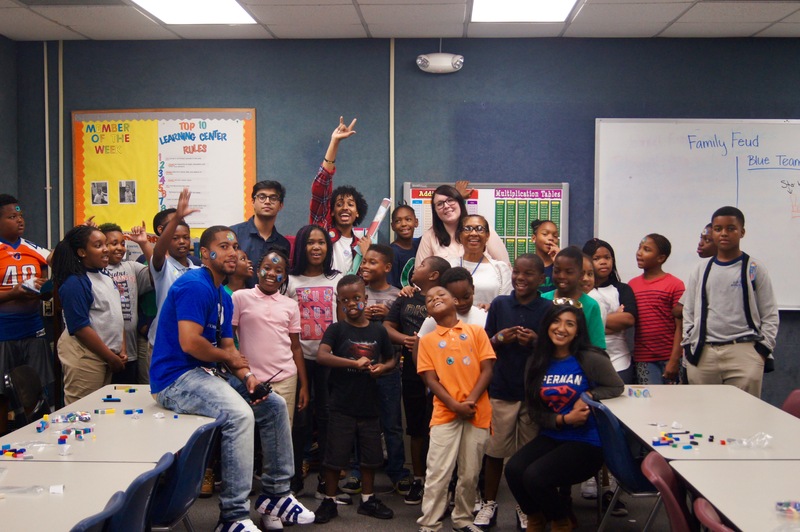 For one of our outreach activities, the members of the iGEM team visited the Salvation Army Boys and Girls Club. Here we had the pleasure of meeting with many bright and curious boys and girls. The day began with meeting all these potential scientists and introducing our team and the agenda for our meetup. Our basic idea was to spark interest and enthusiasm, helping them learn the importance of science in our daily life and why it is important to the community. The meetup began with the team explaining our 2017 iGEM project in a very simple and elementary format for the kids to relate. After the explanation the team gave an elaborate breakdown of how our project can be explained and be understood in a more hands-on manner using Legos. The Legos were used for the sole purpose of explaining how various BioBricks are integrated into our project. The activity was wrapped up with a quick Q&A session between the students and our team. We asked the kids about whether the activity helped them understand synthetic biology and if they would be interested in science as a career. We closed on a positive note, reinforcing their love of science by handing out fruit snacks and thanking them for their time and patience. 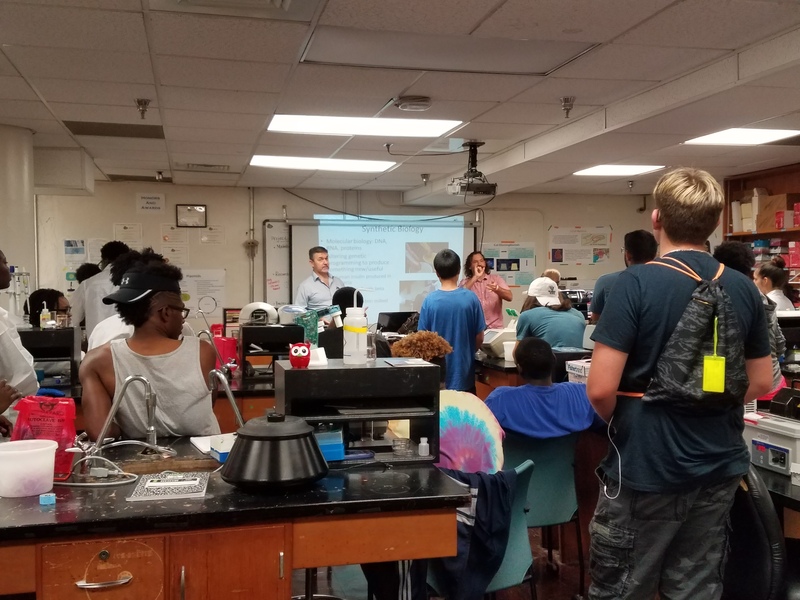 Over the summer members of our iGEM team had an opportunity to meet with a few students from Next Generation Men and Women. NGM/W is a nonprofit Organization established to provide underrepresented students with professional exposure, leadership development, community service and personal support. 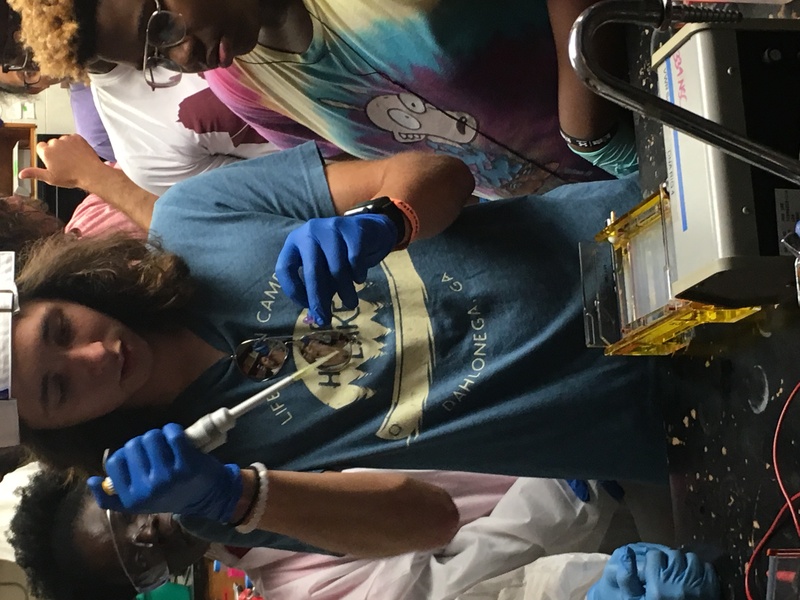 Through our partnership with the group, we take on the responsibility of exposing the students to a day as a synthetic biologist. On our day, the students got to run through a typical lab day. We started off the day by autoclaving trash and loading the dishwasher with dishes. Then, we went to check on our tobacco plants; this involved testing the water level, adding food, and turning on the sun lamps in the lab. Once, the plants were taken care of; the students got to run PCR samples on a gel. While the gel ran the students got to see how to purify GFP from E.coli using hydrophobic interaction chromatography, so the students got to see GFP fluorescence. They thought this was cool, so we scored some points there! This process lasted long enough for the gel to run, and the students then got to image the gel and take a picture. This was the last bit of lab work, so we cleaned up and went to lunch. The day ended with a Q&A where we addressed any questions or doubts the students may have had about college. We also advised the students on how to apply for scholarships, and how to fill out college applications, and how to replicate these experiments in high school. Holly and Cara, also went a step further to elaborate the diverse applications of our iGEM lab by explaining how the lab has not only a scientific component where we perform critical research but also an artistic element where students design research posters of our articulated data and present them at STEM conference. Hence providing them with an overall view of the life of an undergraduate student in STEM, and the life of an iGEMer. Interactions in Biological Systems: What are they up to? We hosted a lecture by microbiologist Dr. Hammer. Dr. Hammer studies cell signaling in the bacterial pathogen Vibrio cholerae, and during his talk, Dr. Hammer discussed how he uses genetic engineering for his research. 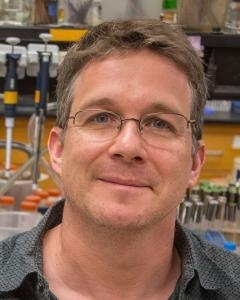 His lab studies microbial interactions at scales that span genes and genomes, regulatory networks, cells, populations, and communities. Harmful and beneficial bacteria are genetically encoded with regulatory networks to integrate external information that tailors gene expression to particular niches. Bacteria use chemical signals to orchestrate behaviors that facilitate both cooperation and conflict with members of the communities they inhabit. His work focuses on the waterborne pathogen Vibrio cholera, which causes the fatal diarrheal disease cholera in humans and also resides in aquatic settings in association with other animals and surfaces like crab shells and zooplankton molts composed of chitin. CRISPR, GATTACA, and the end of the world! 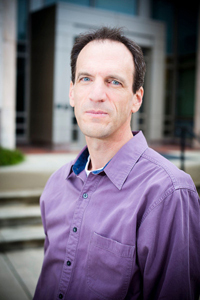 Arri Eisen is a Professor of Pedagogy in biology and in the Graduate Institute for Liberal Arts; he is also the Teaching Coordinator for FIRST, a National Institutes of Health-supported postdoctoral fellowship program in research and teaching. Dr. Eisen received his undergraduate degree in 1985 in biology with honors from UNC-Chapel Hill and his PhD in Biochemistry from UW-Seattle in 1990. In addition to being on the Center faculty, Arri Eisen is a Professor of Pedagogy in Biology and in the Institute for Liberal Arts; he is also the Teaching Coordinator for FIRST, a National Institutes of Health-supported postdoctoral fellowship program in research and teaching, and a leader of the Emory Tibet Science Initiative, which has been working over the last decade with the Dalai Lama to educate Tibetan monks and nuns in science. Dr. Eisen received his undergraduate degree in 1985 in biology with honors from UNC-Chapel Hill and his PhD in Biochemistry from UW-Seattle in 1990. He has been teaching at Emory since then and joined the Center in the late 90’s where his main responsibilities now include teaching in the Center&'s Master of Arts in Bioethics and in Emory's Master of Science in Clinical Research programs. Dr. Eisen publishes in the peer-reviewed literature in science, science education, and bioethics, as well as in the popular literature. His most recent book is The Enlightened Gene: Biology, Buddhism and the Convergence that Explains the World. Dr. Eisen spoke about CRISPR technology and the future of creating human babies without certain medical conditions and specific preferred traits. Our Synthetic Biology Club hosted a speaker series on campus during the spring semester. Learn to Engineer Bacterial Biosensors! 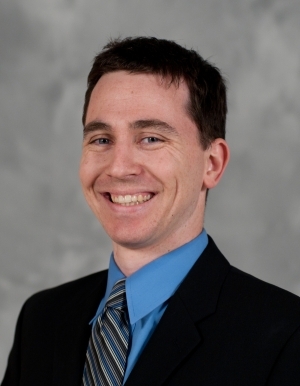 The primary focus of Dr. Styczynski research is the experimental and computational study of the dynamics and regulation of metabolism, with ultimate applications in metabolic engineering, biotechnology, and biosensors/diagnostics. He spoke of the importance of micronutrient deficiencies and the importance of having an accessible and affordable way to measure deficiencies. Micronutrient deficiencies are a significant healthcare concern across the globe. Significant even in some developed nations, micronutrient deficiencies are more severe in the developing world and locally in the wake of major disasters. These conditions, though easily treated, remain a problem because they are often difficult to recognize and diagnose, requiring lab tests that are prohibitively expensive in both material and human resources for those in developing or remote areas. As obligate consumers of the same micronutrients, bacteria possess cellular machinery to control intracellular micronutrient levels and have corresponding regulatory mechanisms to respond to varying concentrations in their environment. His lab is developing a novel medical test based on bacterial sensors using designed genetic circuitry to direct existing or minimally engineered cellular machinery to trigger specific changes in color in response to defined micronutrient levels. Such a test would be cheap, requiring no complex equipment and minimal medical training to administer and interpret. This would obviate the logistical problem of laboratory access and sample transport in remote and low-resource environments, allowing on-site diagnosis of micronutrient deficiencies in the populations most at risk.